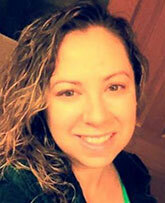 My name is Karina V. Eckert and I graduated from the Elgin Community College Massage Therapy program in July of 2013. I became a massage therapist with the hopes of being able to help others in and around my community with their health and wellness goals. I specialize in Swedish Massage, Prenatal Massage, Aromatherapy, Sports Massage, Trigger Point Therapy, Cupping, and Myofascial Release. I am also able to customize your massage depending on your needs at the time. I began as a therapist at a spa, but now I am happy to be joining Dr. Nate and his team as we help you maintain your health and wellness. 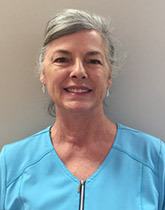 I worked for Central Dupage Hospital for 47 years and after recently retiring decided to pursue my passion of massage therapy. In 2007 I graduated with honors from massage therapy school and worked for a spa before coming here to work in a more clinical setting with The Chiropractic People.